Capacitors are used commonly and useful as an electronic component in the modern circuits and devices. The capacitor has a long history and usage with more than 250 years ago the capacitors are the oldest electronic component being studied, designed, developed and used. With further technology, the capacitors are come up with different types based on their factors. In this article, we are discussing the most popular and most useful types of capacitors. The capacitor is a component and it has the ability to store energy in the form of electrical charge produces the electrical difference across its plates and it is like a small rechargeable battery. The capacitor is a passive component and it stores the electrical energy into an electrical field. The effect of the capacitor is known as a capacitance. It is made up of two close conductors and separated by the dielectric material. If the plates are connected to the power then the plates accumulate the electric charge. One plate accumulates the positive charge and another plate accumulates the negative charge. 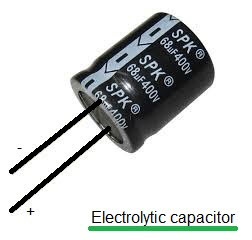 The electric symbol of the capacitor is shown below. The capacitance is the ratio of electric charge (Q) to the voltage (V) and the mathematical expansion is following. The different types of capacitors are following. Generally, the electrolyte capacitors are used when the large capacitor values are required. The thin metal film layer is used for one electrode and for the second electrode (cathode) a semi-liquid electrolyte solution which is in jelly or paste is used. The dielectric plate is a thin layer of oxide, it is developed electrochemically in production with the thickness of the film and it is less than the ten microns. This insulating layer is very thin, it is possible to make capacitors with a large value of capacitance for a physical size, which is in small and the distance between the two plates is very small. The types of capacitors in the majority of electrolytic are polarized, which is DC voltage is applied to the capacitor terminal and they must be correct polarity. If the positive to the positive terminal and the negative to the negative terminal as an incorrect polarization will break the insulating oxide layer and there will be permanent damage. All the polarized electrolytic capacitors have polarity clearly with the negative sign to show the negative terminal and the polarity should be followed. The uses of electrolytic capacitors are generally in the DC power supply circuit because they are large in capacitance and small in reducing the ripple voltage. The applications of this electrolytic capacitors are coupling and decoupling. The disadvantage of the electrolytic capacitors is their relatively low voltage rating because of the polarization of electrolytic capacitor. This capacitor is a group of natural minerals and the silver mica capacitors use the dielectric. There are two types of mica capacitors which are clamped capacitors & silver mica capacitor. 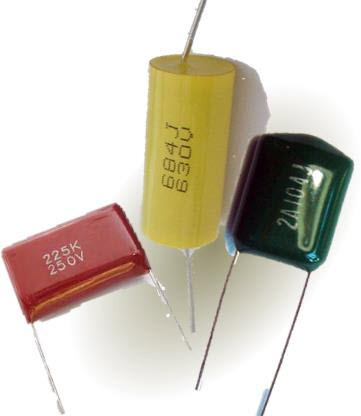 Clamped mica capacitors are considered as an obsolete because of their inferior characteristic. The silver mica capacitors are prepared by sandwiching mica sheet coated with metal on both sides and this assembly is then encased in epoxy to protect the environment. The mica capacitors are used in the design calls for stable, reliable capacitor of relatively small. The mica capacitors are the low loss capacitors, used at high frequencies and this capacitor is very stable chemically, electrically, and mechanically, because of its specific crystalline structure binding & it is a typically layered structure. The most common used are Muscovite and phlogopite mica. The Muscovite mica is better in the electrical properties and the other Mica has a high-temperature resistance. The construction of paper capacitor is between the two tin foil sheet and they are separated from the paper, or, oiled paper & thin waxed. The sandwich of the thin foils and papers then rolled into the cylindrical shape and then it is enclosed into the plastic capsule. The two thin foils of the paper capacitors attach to the external load. 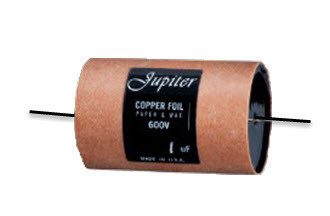 In the initial stage if the capacitors the paper was used in between the two foils of the capacitor, but these days the other materials like plastics are used, therefore it is called as a paper capacitor. The capacitance range of the paper capacitor is from 0.001 to 2.000micro farad and the voltage is very high which is up to 2000V. 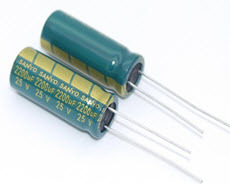 The film capacitors are also capacitors and they use a thin plastic as the dielectric. 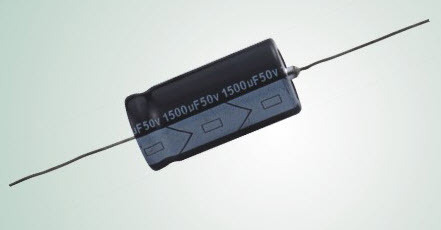 The film capacitor is prepared extremely thin using the sophisticated film drawing process. If the film is manufactured, it may be metalized depend on the properties of a capacitor. To protect from the environmental factor the electrodes are added and they are assembled. There are different types of film capacitors are available like polyester film, metallized film, polypropylene film, PTE film and polystyrene film. The core difference between these capacitors types is the material used as a dielectric and dielectric should be chosen properly according to their properties. The applications of the film capacitors are stability, low inductance, and low cost. The PTE film capacitance is a heat resistance and it is used in the aerospace and military technology. The metalized polyester film capacitor is used in the applications are it requires long stability at a relatively low. The nonpolarized capacitors are classified into two types plastic foil capacitor and the other one is the electrolytic nonpolarized capacitor. The plastic foil capacitor is non-polarized by nature and the electrolytic capacitors are generally two capacitors in the series, which are in the back to back hence the result is in the non-polarized with half capacitance. The nonpolarized capacitor requires the AC applications in the series or in parallel with the signal or power supply. The examples are the speaker crossover filters and power factor correction network. In these two applications, a large AC voltage signal is applied across the capacitor. The ceramic capacitors are the capacitors and use the ceramic material as a dielectric. 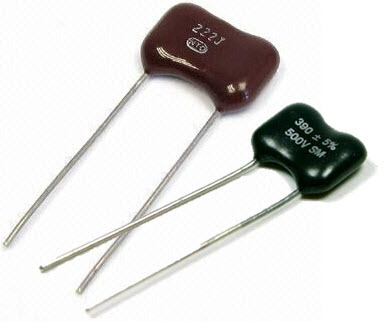 The ceramics are one of the first materials to use in the production of capacitors as an insulator. There are many geometries are used in the ceramic capacitors and some of them are the ceramic tubular capacitor, barrier layer capacitors are obsolete because of their size, parasitic effects or electrical characteristics. The two common types of ceramic capacitors are multilayer ceramic capacitor (MLCC) and ceramic disc capacitor. The multilayer ceramic capacitors are prepared by using the surface mounted (SMD) technology and they are smaller in size, therefore, it is used widely. The values of the ceramic capacitors are typically between the 1nF and 1µF and the values are up to 100µF are possible. The ceramic disc capacitors are manufactured by coating a ceramic disc with silver contacts on both sides and to achieve with the larger capacitance, these devices are made from multiple layers. The ceramic capacitors will a have high-frequency responses due to the parasitic effects like resistance and inductance. In this article, we have explained about the different types of capacitors and its uses. I hope by reading this article you have gained some basic knowledge on the types of capacitors. If you have any queries about this article or about the implementation of electronics and electrical projects for engineering students, please feel free to comment in the below section. Here is the question for you in the capacitors the electrolyte charge is stored in?